Suitable for cafetiere, filter coffee and stove top coffee machines. 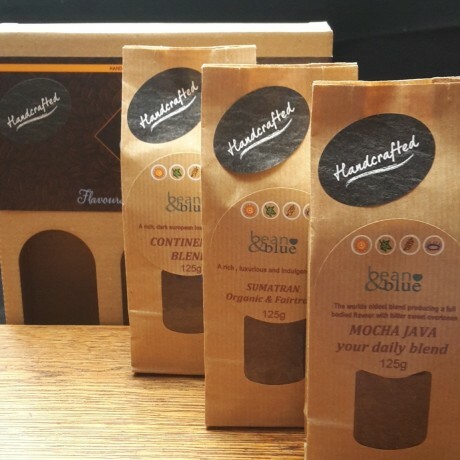 Mocha-Java is the world’s oldest recorded coffee blend. There is a simple reason for this: Mocha (from the rugged, fertile southern tip of the Arabian peninsula, now part of the Republic of Yemen) was the world’s first commercial coffee, and Java (from the then-Dutch colony in what is now Indonesia) was more or less the second. 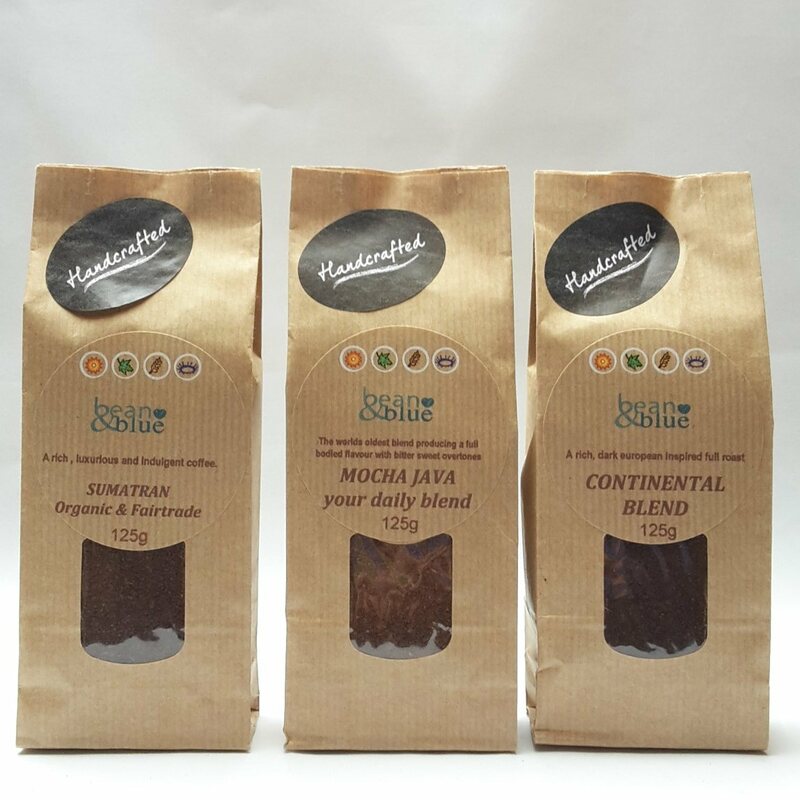 For coffee lovers who enjoy a dark roast but occasionally like to tone it down just a touch, our Continental Blend is perfect for you. We combine the bold, smoky flavor of our Continental Roast with the chocolatey smoothness of our Colombian Supremo to form the ideal bridge between medium and dark roasts. Contains blended and ground coffee beans. 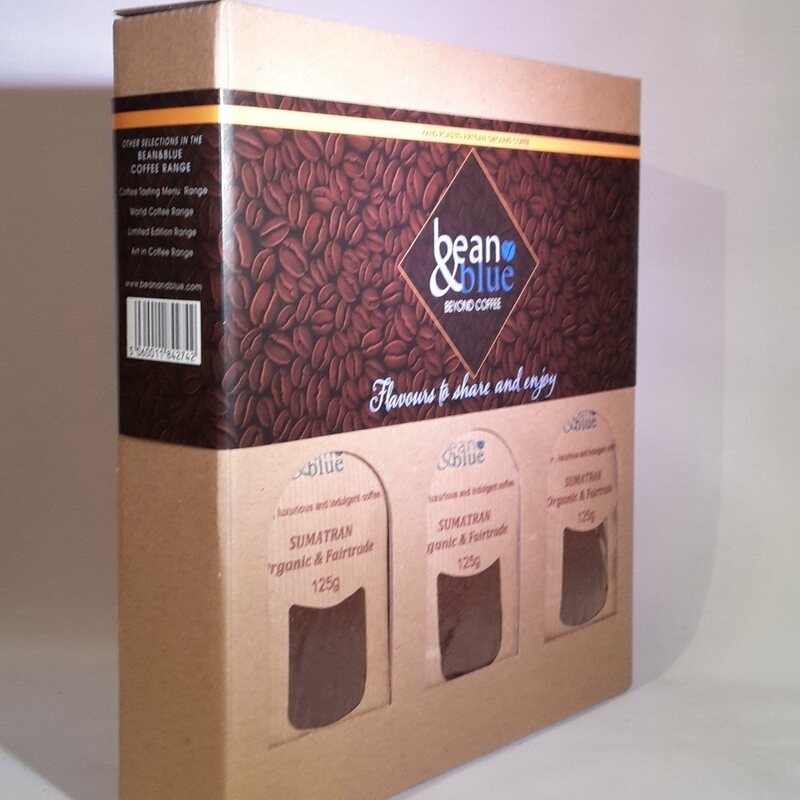 A lovely idea for a coffee lover, came beautifully packaged too. Very prompt delivery - very impressed with the quality of the beans and the chocolate. It was also beautifully packaged. I would be very happy to recommend these delicious chocolates. 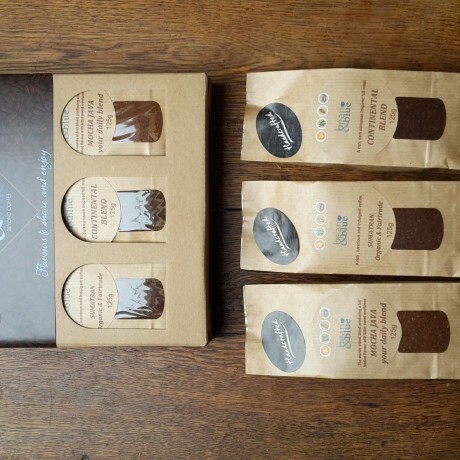 Producers of small batch artisan coffee infused with gourmet flavours.